On the 9th of April 2019, the WHO European High-Level Conference on Non-Communicable Diseases “Meeting non-communicable disease targets to achieve the Sustainable Development Goals in Europe” has started in the “Yildiz” hotel of Ashgabat city. The heads and representatives of the Ministry of Health Protection and Medical Industry of Turkmenistan, European Regional Office of the World Health Organization, as well as the responsible representatives working in the sphere of healthcare from around 50 countries across the world, including the employees of international organizations, representatives of local and accredited in Turkmenistan mass media participated to the event. During the opening ceremony, the Minister of Health Protection and Medical Industry of Turkmenistan gave a speech and read the Congratulatory Message of President of Turkmenistan Gurbanguly Berdimuhamedov addressed to the participants of the WHO European High-Level Conference on the Prevention and Control of Non-Communicable Diseases. Then the video address of the Director-General of the World Health Organization Dr. Tedros Adhanom Ghebreyesus was shown to the participants of the Conference where he noted valuable contribution of Turkmenistan in the implementation of WHO international initiatives and wished to the participants of the Conference fruitful work. Then Dr. Piroska Östlin, Acting Regional Director for Europe of the World Health Organization made an address. Highly appraising the long-term cooperation of the WHO with Turkmenistan, the guest has presented to the Turkmen side a Certificate for Valuable Input of Turkmenistan in Prevention of Non-Communicable Diseases. 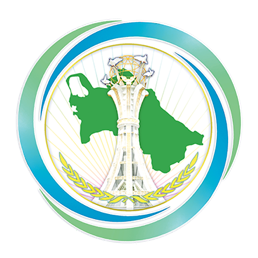 During the first day of the session, the representatives of relevant agencies of Turkmenistan, as well as the European Regional Office of WHO gave speeches at the event. It was noted that the adoption in 2013 of Ashgabat Declaration on the Prevention and Control of Non-Communicable Diseases in the Context of Health 2020 has become a milestone event for European region. This Document has affirmed the main regulations and obligations in the area of controlling the NCDs and became a vector in perfecting the healthcare systems, strengthening the monitoring of NCD programmes, including the preventive measures and preparation of plans on the national level. In addition, the participants spoke about the work done up to the current time by the WHO member-states and partners which contributed to the attainment of positive results on the control of NCDs on global level, thus making an input in the process of achieving the Sustainable Development Goals and the Agenda 2030. As the result of the first day of the Conference, a briefing was organized for the political scientists and the stakeholders. During the event, the participants received information on the activities realized by the WHO in cooperation with Turkmenistan in the sphere of prevention and control of non-communicable diseases. Tomorrow, on the 10 of April 2019, the WHO European High-Level Conference will continue its work.